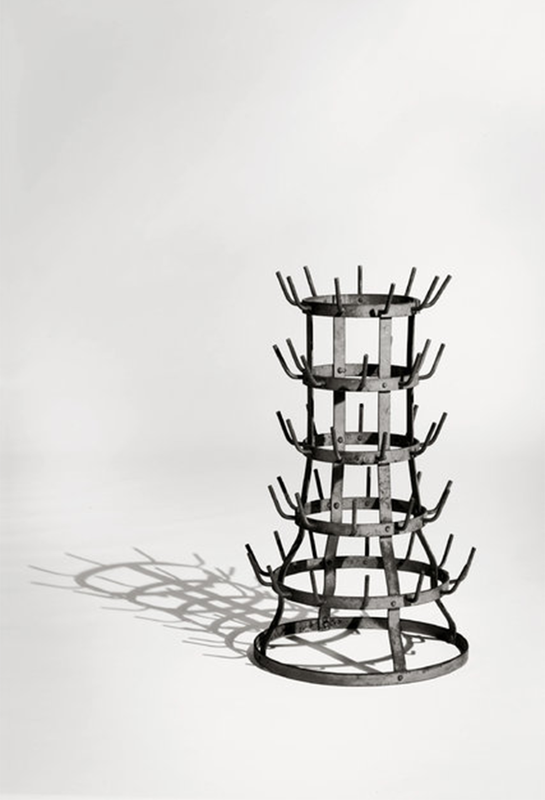 A hundred years on since Duchamp coined the phrase ''readymade,'' his Porte-bouteilles (Bottle Rack) creations will be sold by Austrian dealer Thaddaeus Ropac at his Paris gallery. The piece, which was created in 1959, will be sold on behalf of the Rauschenberg Foundation. The metal rack was originally used in France to dry wine bottles. Design fans can see the piece at Ropac's Paris gallery from October 20 until January 14 next year. Ropac has stated that the piece will be sold exclusively to a public museum only. With only five versions of the piece still in existence, the work is sure to have museum collections around the world clamouring to add it to their collection.